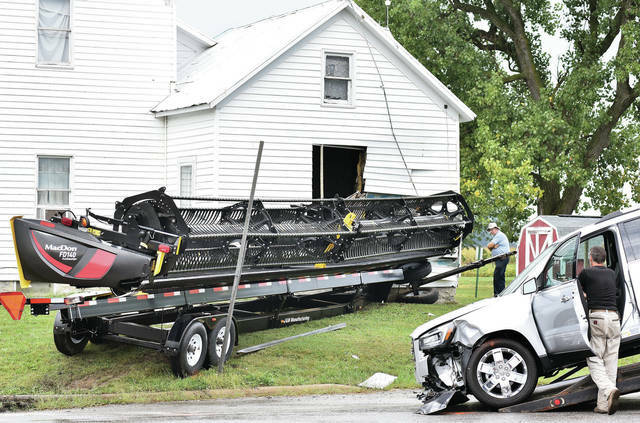 A piece of farm equipment being pulled by a truck swung into a house at the intersection of county Road 25a and state Route 274 near Botkins shortly before 5 p.m., Thursday, Sept. 6. The vehicle, right, being towed away was clipped in the accident. A pregnant woman driving the vehicle was taken to the hospital for evaluation. 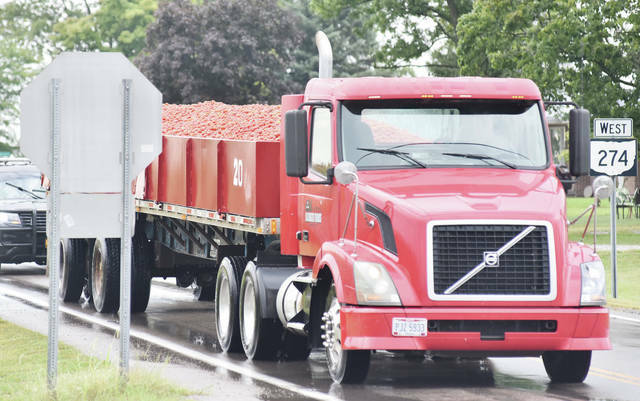 A preliminary investigation suggests the truck hauling the farm equipment may have swerved to avoid a semi that was hauling produce at the intersection. Only the drivers of all three vehicles were involved in the accident. No one in the house was injured. 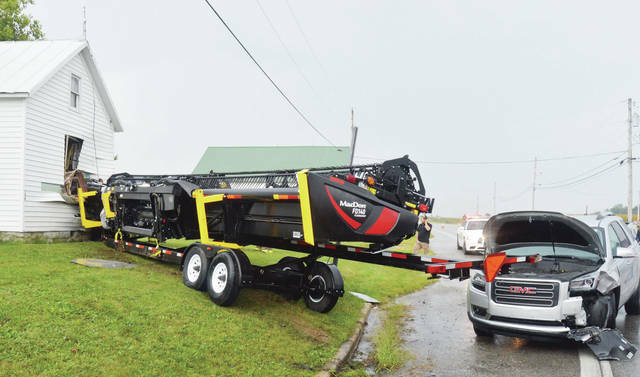 A piece of farm equipment being pulled by a truck swung into a house at the intersection of state routes 25a and 274 shortly before 5 p.m. Thursday, Sept. 6. The vehicle, right, being towed away was clipped in the accident. The pregnant woman driving the vehicle was taken away to be evaluated. 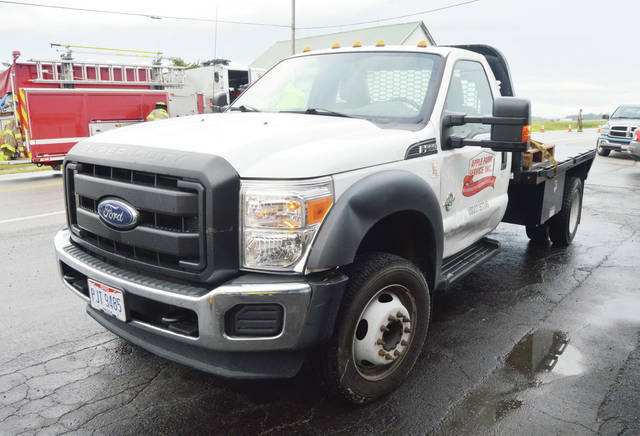 A preliminary investigation suggests the truck hauling the farm equipment may have swerved to avoid a semi-truck hauling produce at the intersection. Only the drivers of all three vehicles were involved in the accident.